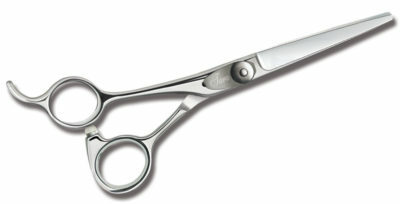 Ball bearing screw with offset handle. 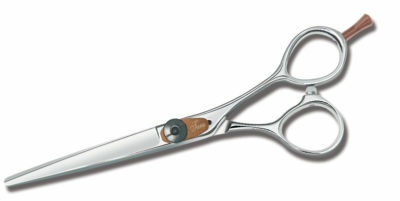 Slim, lightweight design with removable finger rest. 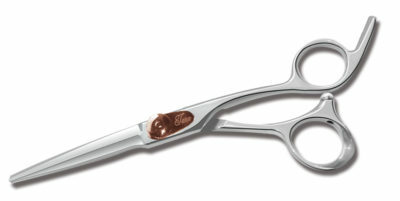 Ball bearing screw system allows for smooth and consistent movement. 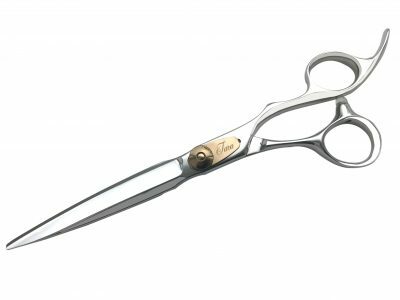 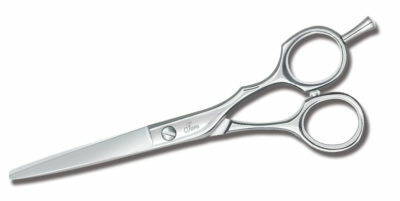 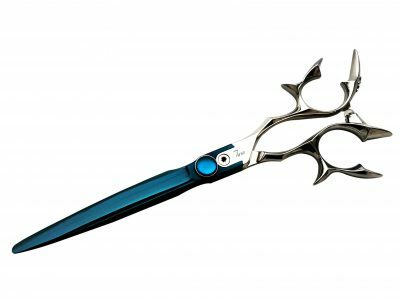 Offset, anatomic bent thumb handle style With super convex edge K blades. 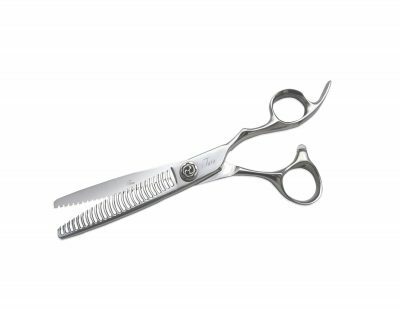 Good for Wet and Dry Cut. 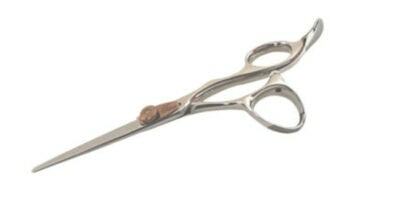 Offset anatomic bent thumb handle screw style shear. 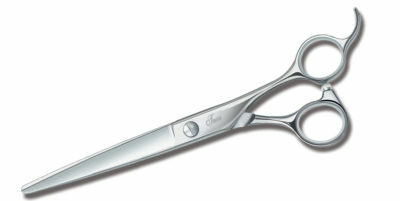 This shear offers true comfort and stability. 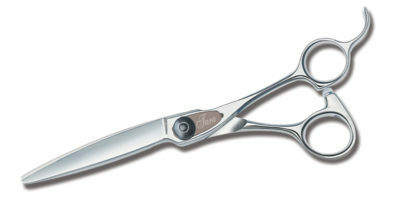 Features a smooth, sleek design with an inner click tension system. 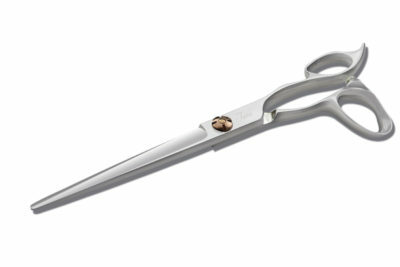 Best Selling Left handed scissor. 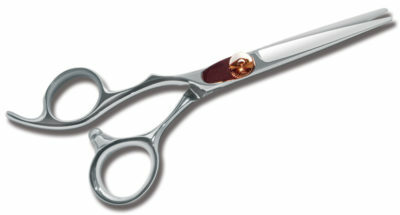 Offset anatomic bent thumb handle style . 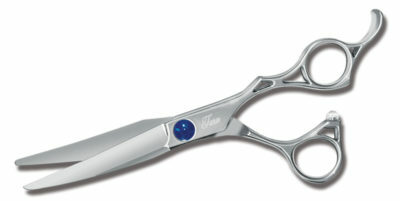 Convex edge blades and thumb adjustable screw system. 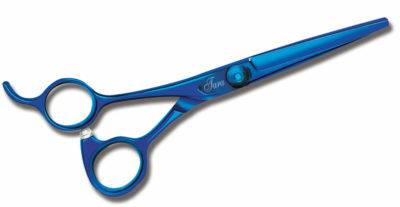 Blue Titanium. 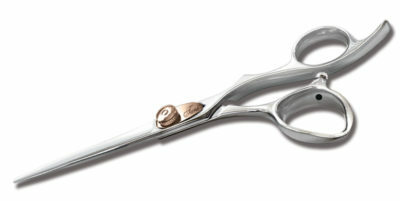 Anatomic wide bent thumb. 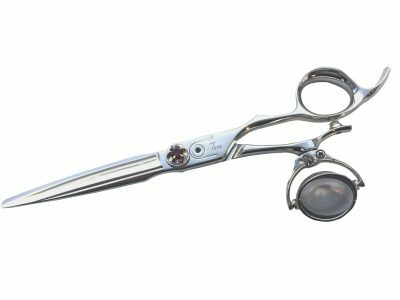 Super convex edge blades.